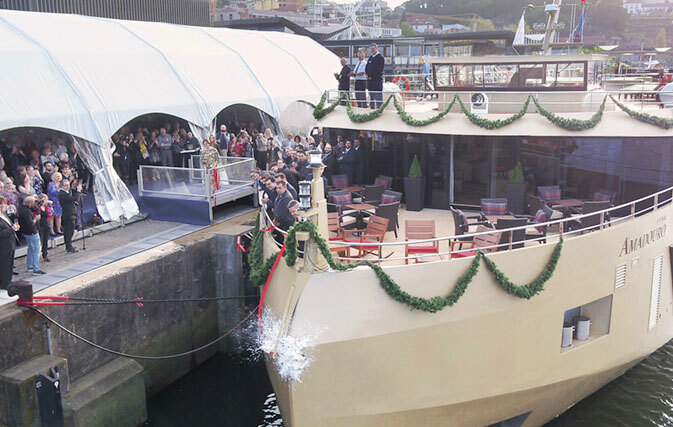 CALABASAS, CA — AmaWaterways christened its newest river cruise ship, AmaDouro in Porto, the final touch on AmaDouro’s inaugural sailing with a gala event hosted by AmaWaterways co-founders Rudi Schreiner and Kristin Karst. Most of the ship’s 51 staterooms have outside balconies for views of the hills and vineyards along the UNESCO-designated Douro River Valley. Additional amenities include a Panoramic Lounge for nightly entertainment, a heated Sun Deck swimming pool, fitness room, massage room and the Main Restaurant serving regionally-inspired dishes and hand-selected wines. 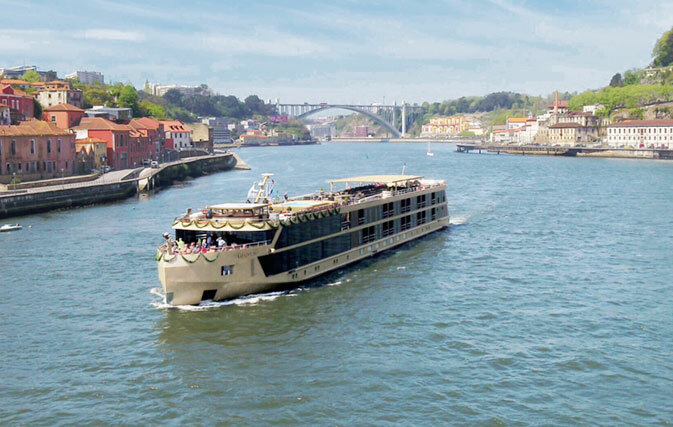 Joining sister ship AmaVida which sails between Porto and Vega Terron, AmaDouro will be based in Porto and offer seven-night roundtrip ‘Enticing Douro’ cruises with a three-night pre-cruise land program in Lisbon. AmaDouro is the first of three new ships that will be added to AmaWaterways’ fleet this year. Other new ships making their debut include AmaMora, sister ship to AmaLea and AmaKristina, sailing on the Rhine, and AmaMagna on the Danube.